The Supreme Court has held that the appointment of arbitrator by a person who himself is ineligible to be an arbitrator as per Section 12(5) of the Arbitration and Conciliation Act 1996 is void ab initio. The bench of Justices R F Nariman and Vineet Saran followed the 2017 decision in TRF Ltd. v Energy Engineering Projects Ltd (2017) 8 SCC 377 (TRF Ltd)., which had held that an ineligible person cannot appoint arbitrator. The present case arose out of a dispute between Bharat Broadband Network Ltd(BBNL) and United Telecoms Ltd (UTL). The disputes arising out of the agreement between them had to be referred to arbitration by the Chairman and Managing Director of BBNL or to any person appointed by him. In relation to contractual disputes, UTL invoked the arbitration clause on January 3, 2017, and sought for appointment of arbitrator. The CMD of BBNL appointed one K H Khan as arbitrator. After that, on July 3, 2017, the SC decision in TRF Ltd. case that an ineligible arbitrator cannot appoint another arbitrator came. Citing this decision, BBNL sought withdrawal of Khan from the proceedings. Interestingly, UTL did not object to the continuation of Khan, who was appointed by BBNL's CMD. Khan rejected the request for withdrawal. This was challenged under Section 14 & 15 of the Act by BBNL before Delhi High Court. The High Court too rejected the challenge, holding that BBNL was estopped from questioning the mandate of the arbitrator appointed by it. The Court also construed from the conduct of parties - i.e BBNL appointing the arbitrator and UTL filing claim statement in proceedings before him - waiver of objections as per proviso to Section 12(5). Challenging the High Court's judgment, BBNL appraoched the Supreme Court. Ineligibility under Section 12(5) de jure. Allowing the appeal of BBNL, the judgment authored by Justice Nariman stated that ineligibility under Section 12(5) of the Act was de jure in nature, leading to automatic termination of his mandate. "..where such person becomes "ineligible" to be appointed as an arbitrator, there is no question of challenge to such arbitrator, before such arbitrator. In such a case, i.e., a case which falls under Section 12(5), Section 14(1)(a) of the Act gets attracted inasmuch as the arbitrator becomes, as a matter of law (i.e., de jure), unable to perform his functions under Section 12(5), being ineligible to be appointed as an arbitrator. This being so, his mandate automatically terminates, and he shall then be substituted by another arbitrator under Section 14(1) itself. It is only if a controversy occurs concerning whether he has become de jure unable to perform his functions as such, that a party has to apply to the Court to decide on the termination of the mandate, unless otherwise agreed by the parties. Thus, in all Section 12(5) cases, there is no challenge procedure to be availed of. If an arbitrator continues as such, being de jure unable to perform his functions, as he falls within any of the categories mentioned in Section 12(5), read with the Seventh Schedule, a party may apply to the Court, which will then decide on whether his mandate has terminated." Coming to the facts of the case, the bench noticed that CMD of BBNL was himself an ineligible person as per Item 5 of Seventh Schedule, which barred manager, director etc. of a party to the dispute from being an arbitrator. Applying the decision in TRF Ltd, the bench said that CMD could not have appointed arbitrator. The respondent UTL had raised an argument that as per Section 12(4), a party who appointed an arbitrator can challenge his mandate only for reasons which he became aware after the appointment has been made. The contention was that the CMD was very well aware of the ineligibility of Khan even before appointment, and that it was not something which was known after the appointment. Rejecting this, the Court said that the ineligibility of Khan came to light only after the SC rendered the TRF decision on July 3, 2017. The appointment was made before that, on January 1, 2017. "Whether such ineligible person could himself appoint another arbitrator was only made clear by this Court's judgment in TRF Ltd. (supra) on 03.07.2017, this Court holding that an appointment made by an ineligible person is itself void ab initio. Thus, it was only on 03.07.2017, that it became clear beyond doubt that the appointment of Shri Khan would be void ab initio. Since such appointment goes to "eligibility", i.e., to the root of the matter, it is obvious that Shri Khan's appointment would be void. There is no doubt in this case that disputes arose only after the introduction of Section 12(5) into the statute book, and Shri Khan was appointed long after 23.10.2015. The judgment in TRF Ltd. (supra) nowhere states that it will apply only prospectively, i.e., the appointments that have been made of persons such as Shri Khan would be valid if made before the date of the judgment". The Court added that "Section 12(4) has no applicability to an application made to the Court under Section 14(2) to determine whether the mandate of an arbitrator has terminated as he has, in law, become unable to perform his functions because he is ineligible to be appointed as such under Section 12(5) of the Act"
The SC found fault with the HC's judgment for construing waiver of objections. It said that as per proviso to Section 12(5) the waiver should be express and in writing. "It is thus necessary that there be an "express" agreement in writing.This agreement must be an agreement by which both parties, with full knowledge of the fact that Shri Khan is ineligible to be appointed as an arbitrator, still go ahead and say that they have full faith and confidence in him to continue as such. The facts of the present case disclose no such express agreement", observed the Court. It noted that BBNL had objected to Khan's continuation soon after TRF judgments. The fact that UTL filed claim statement before the arbitrator cannot be taken into account to presume waiver. 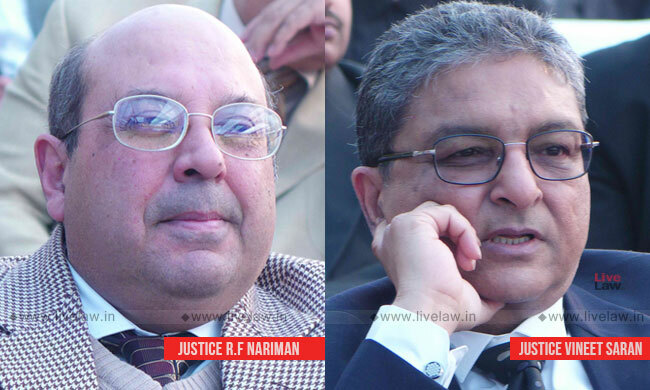 Resultantly, the SC set aside the HC's judgment, and terminated the mandate of the arbitrator. While the appeal was pending in SC, the arbitrator had passed award in the matter, and Section 34 appeal challenging it was also filed. Since the arbitrator's mandate was terminated, the SC quashed the award as well.